Arsenal have reportedly identified Alexandre Lacazette as an alternative to Leicester’s Jamie Vardy, who signed a new four-year deal with the Premier League champions earlier this week. The Gunners triggered the 29-year-old’s £20 million release clause at Leicester City earlier this month, but the striker signed a new four-year deal this week. 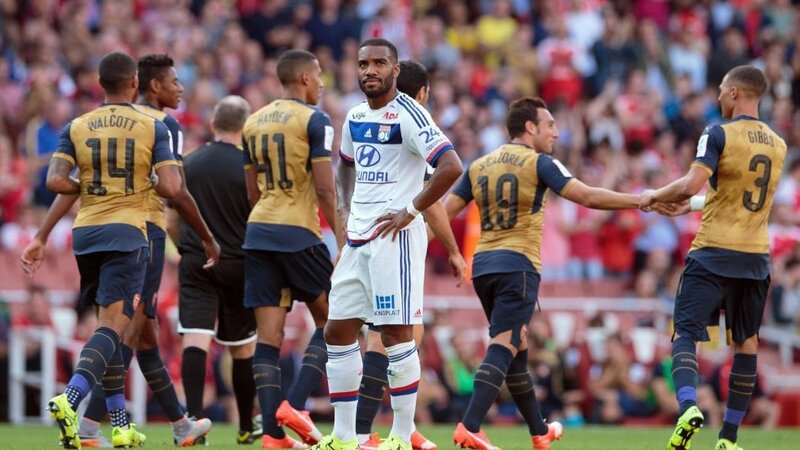 Consequently, the Gunners have been forced to lookout elsewhere, leading them to Lyon hit-man Alexandre Lacazette, who scored 23 goals in 43 appearances last season, is thought to be admired by Arsenal manager Arsene Wenger. @CallumRankin2 is he better than Walcott and ox? Answer. Yes. Second answer. Yes. Overall? Yes.